Fire and Industrial Safety sector has immense scope in India. Our country is developing at a rapid pace. The Government is giving huge importance to the manufacturing sector. Post Graduate Diploma in Fire Safety Management: For today’s generation, Fire & Safety Management presents itself as a chance wherever there’s a really significant demand in industries each in India ,Abroad, wherever job opportunities are tremendous. To cater the quickly growing demand from numerous quarters there’s only very restricted work centers. To deliver professionally competent personnel in Fire Safety Engineering the institute has taken the enterprising step to succeed in resolute the youth, giving them a career chance that if grasped has the potential to change their life as below for the higher inside a year of registration. Industries as well as Governments around the world give adequate importance to industrial safety. It is necessary to ensure the safety of workers and environment! 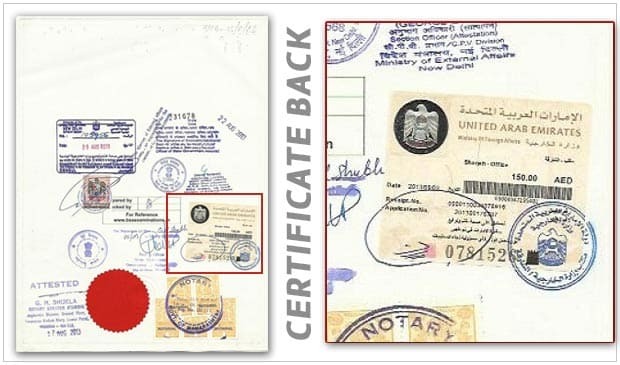 CERTIFICATE CAN BE ATTESTED BY MINISTRY OF EXTERNAL AFFAIRS.As this BSS Diploma Certificate is issued by Central Board of Education, Govt. 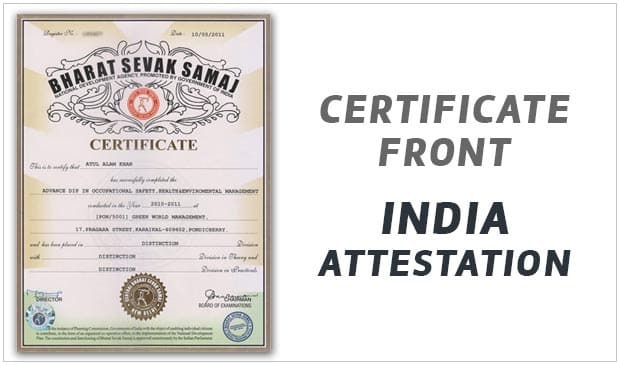 of India, this Certification is recognized globally. 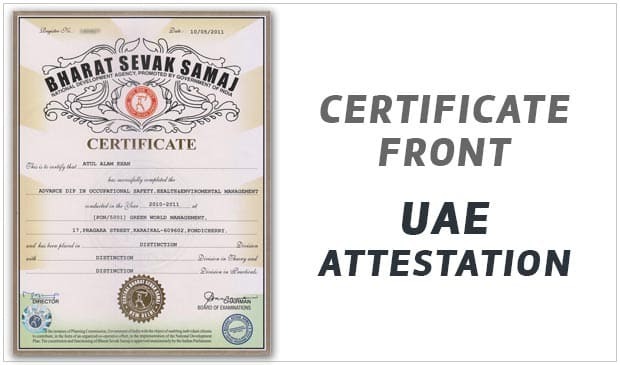 The candidate willing to move abroad for jobs, can get this certificate attested by ministry of external affairs of most countries. Are there any Seminars for Post Graduate Diploma in Fire and Industrial Safety Management? 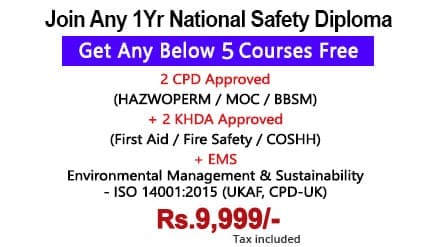 For students joining the one year Post Graduate Diploma in Fire and Industrial Safety Management, we can arrange a twelve-day intensive seminar session at an extra fee (although not mandatory) at our Green World Group Business Center, Chennai, India. The seminar will only be conducted when we have a minimum number of enrollments for the session. Expert panel of teachers will be available on working days to clear the doubts of students via emails and hand-phone. Students can avail all course materials, published by Green World Group. 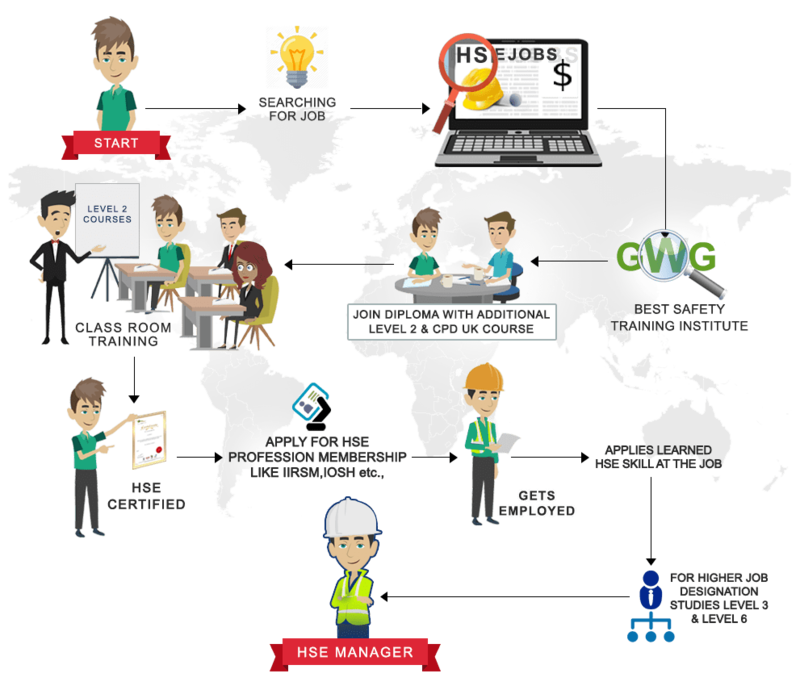 These study manuals are made as per international standards by a team of safety and experts. 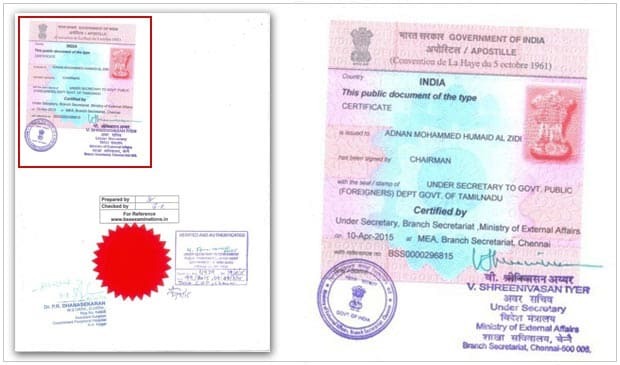 These support materials are recognised and promoted by the Government of India. Candidates completing the course successfully are entitled to receive certification, which will be issued within 30 days from the result announcement date. The certificates & mark lists will be provided by the Central Board of Examination & National Development Agency, under Government of India. For meritorious students securing distinction and first class, additional certificates will be issued. What is the Fee Structure for Post Graduate Diploma in Fire and Industrial Safety Management? The course fee for Post Graduate Diploma in Fire and Industrial Safety Management at Green World Group is inclusive of all study materials, examination fee and administrative charges.